A memorial service will be held at 1:00 p.m. on Wednesday, February 6, at Crippin Funeral Home. Carol will be laid to rest in Atlanta Industrious Cemetery Atlanta, Nebraska between Marvin and her son Ward. The family ask that contributions be made to Valley Manor Memory Care Center, Montrose, Colorado, or The Alzheimer’s Association. 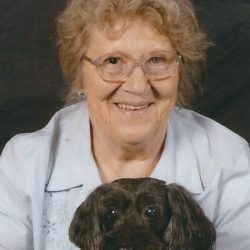 Emma “Carol” Osborn went to Heaven February 1, 2019. Emma “Carol” Osborn was born March 11, 1934 to Emma and Meyer Grace. She grew up in the Loomis / Bertrand, Nebraska area. On June 25, 1950 she married Charles “Marvin” Osborn in Bertrand, Nebraska. Carol and Marvin made their home in Leadville, Colorado. Carol worked at many places during her time in Leadville. After retirement from Copper Mountain she returned to Nebraska, settling in Stratton and working at the Stratton Senior Center as a cook. In 2006 she moved to Montrose Colorado to be with her daughter Cheri. 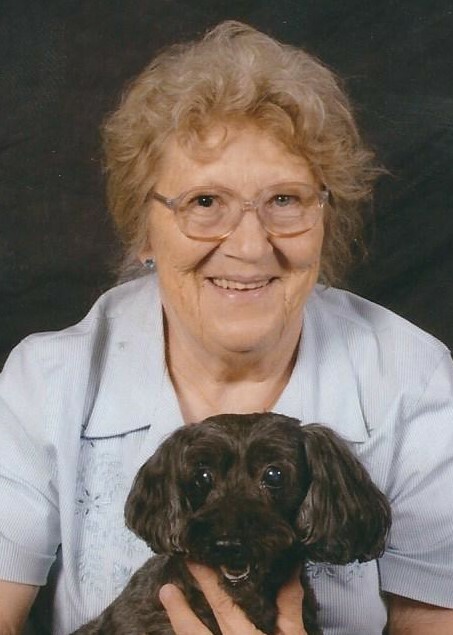 Carol’s passions in life were her kids, her grandchildren, great grandchildren, dogs, and helping others. Her hobbies were, reading, crocheting, knitting, sewing, and quilt making. Carol is survived by her children Trent, Dolan Springs Arizona, Cheri, Montrose, Colorado, Anjula (Chris) Cottle Cheyenne, Wyoming, Michelle (David) Stewart Vancouver, Washington, and Marvin (Faith) of Leadville. 14 Grandchildren and 12 great grandchildren. She was preceded in death by twin granddaughters, her son Ward, ex-husband Marvin, and a son in law Jeff Gilbert.